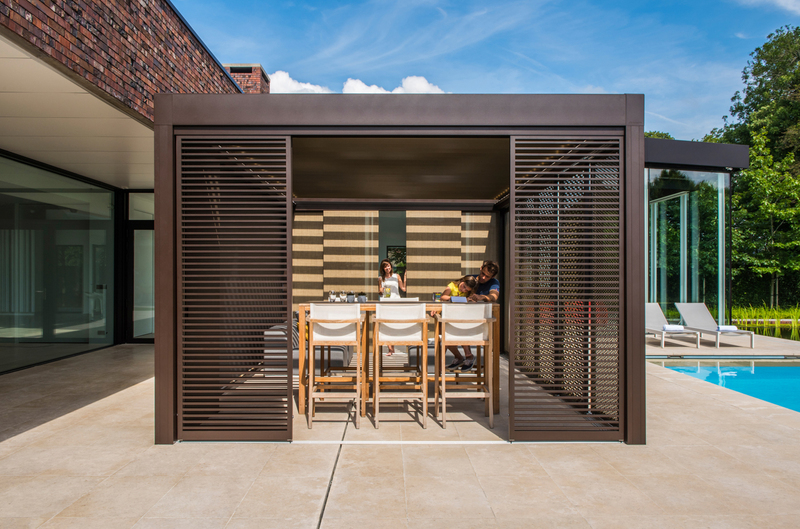 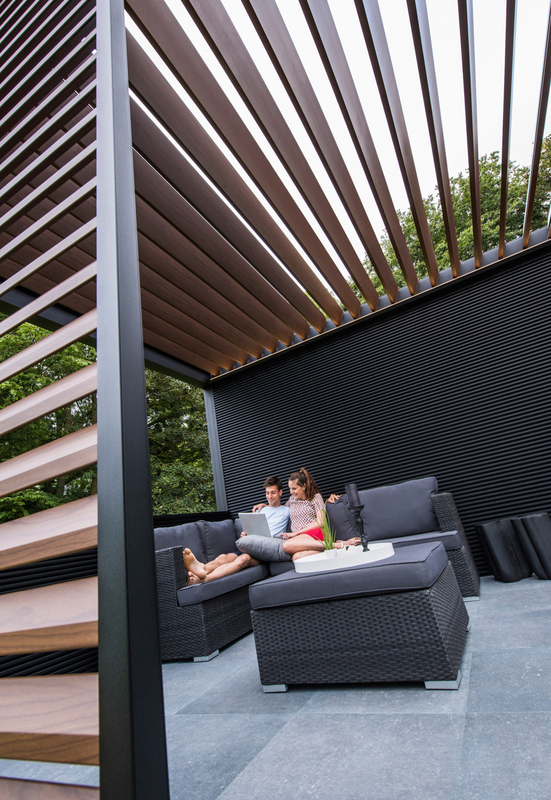 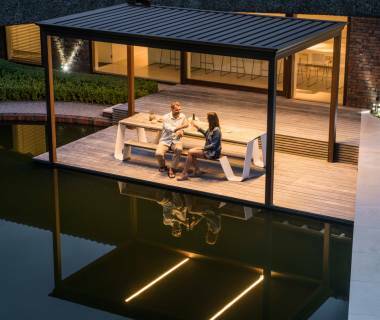 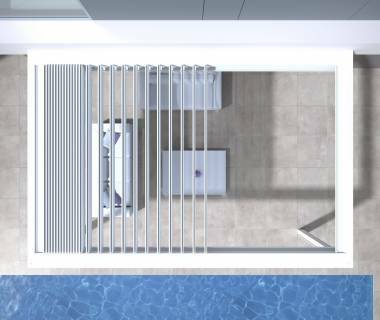 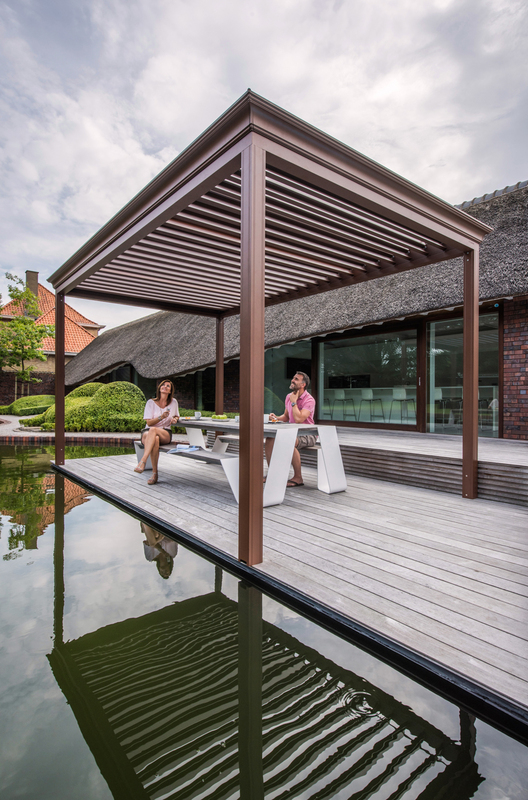 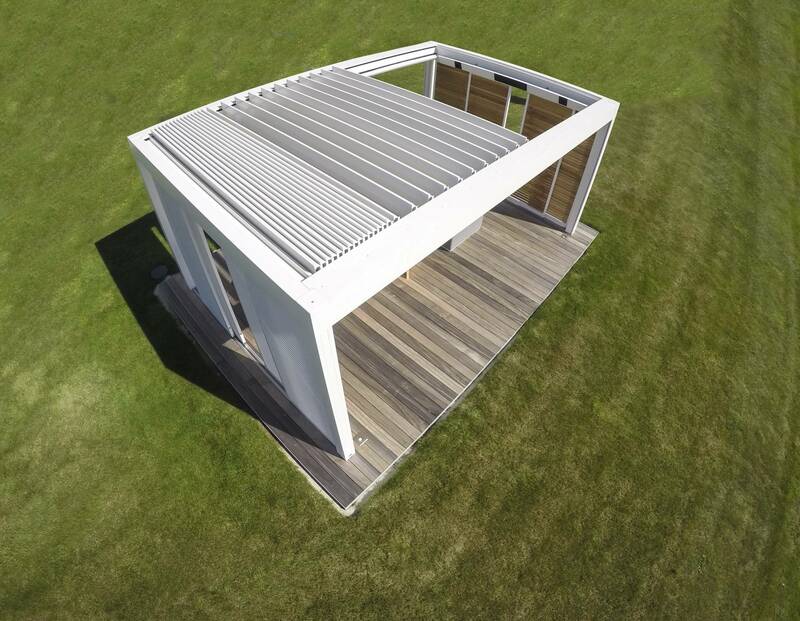 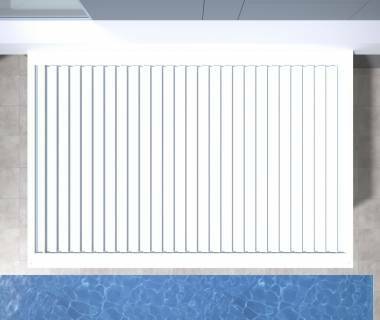 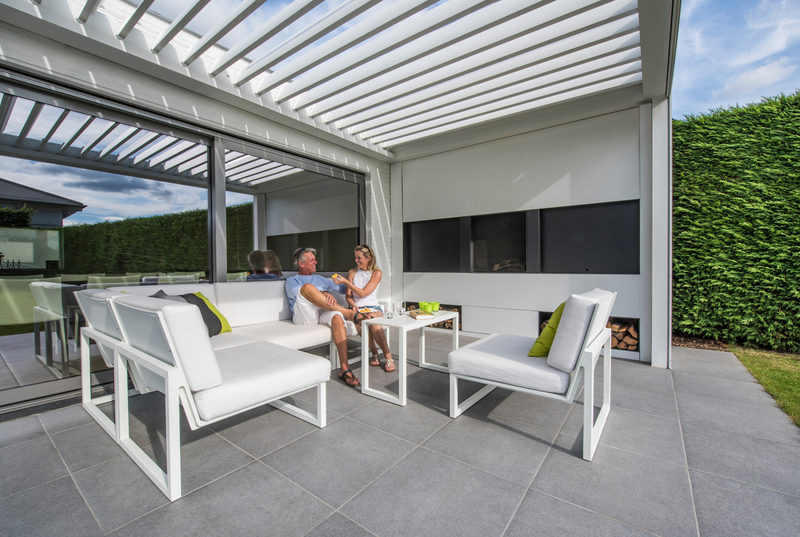 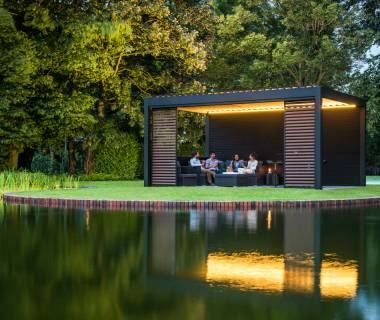 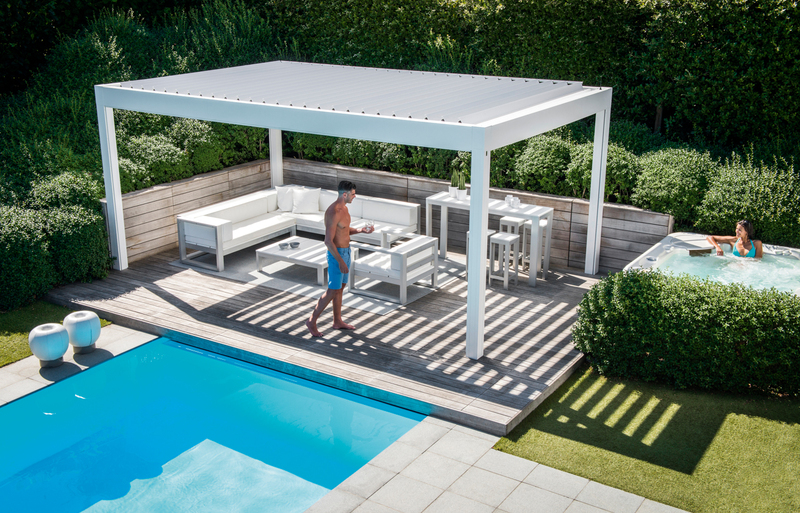 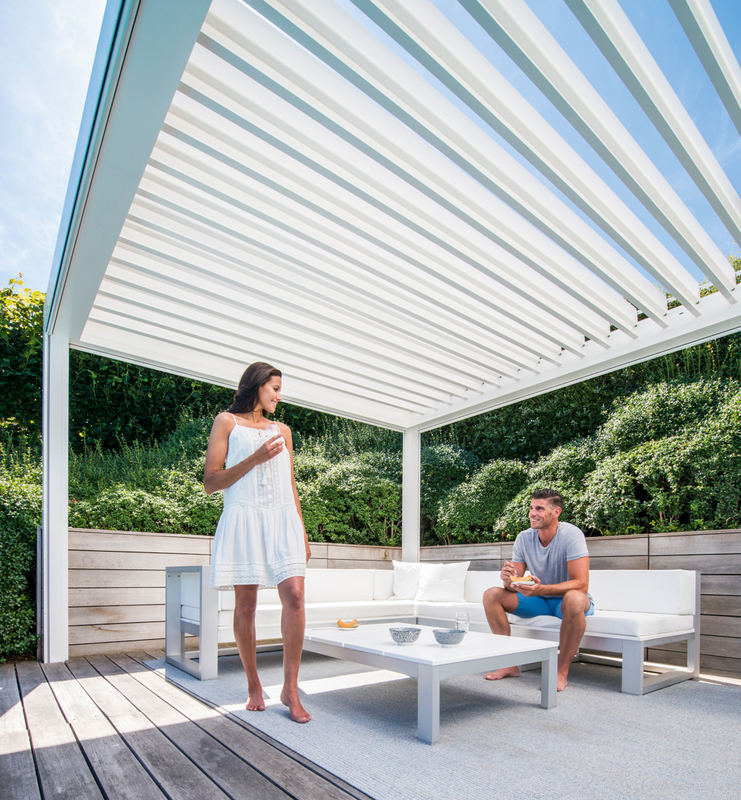 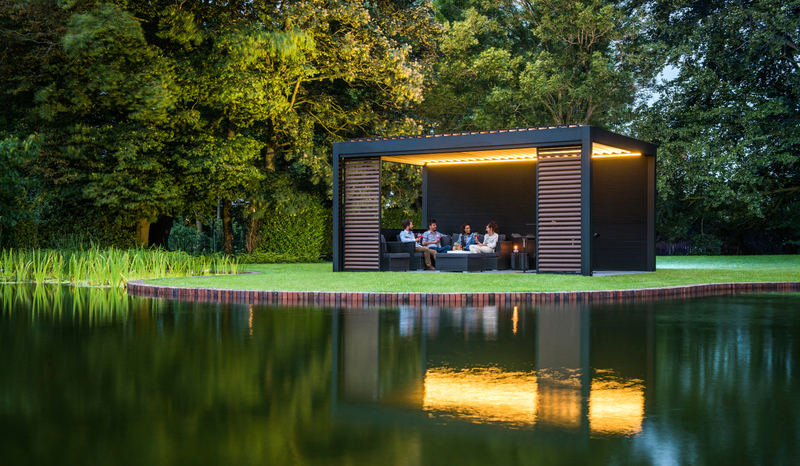 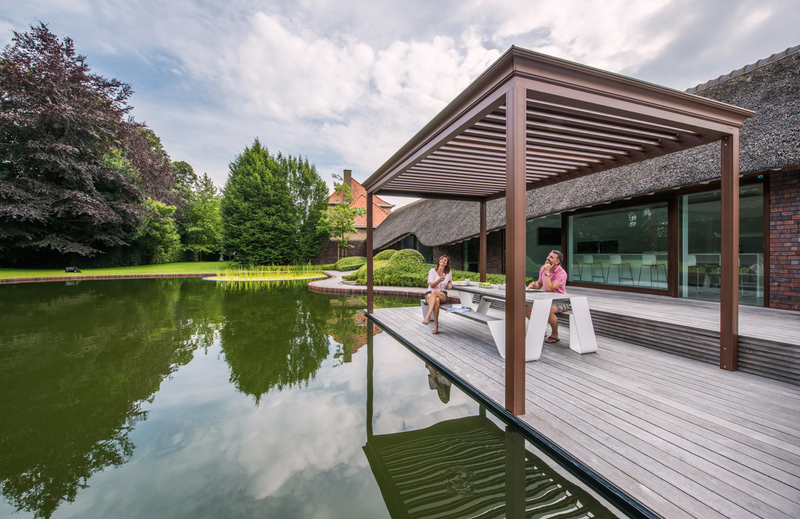 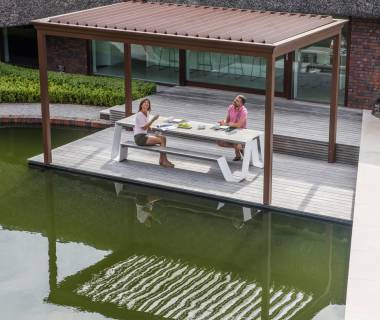 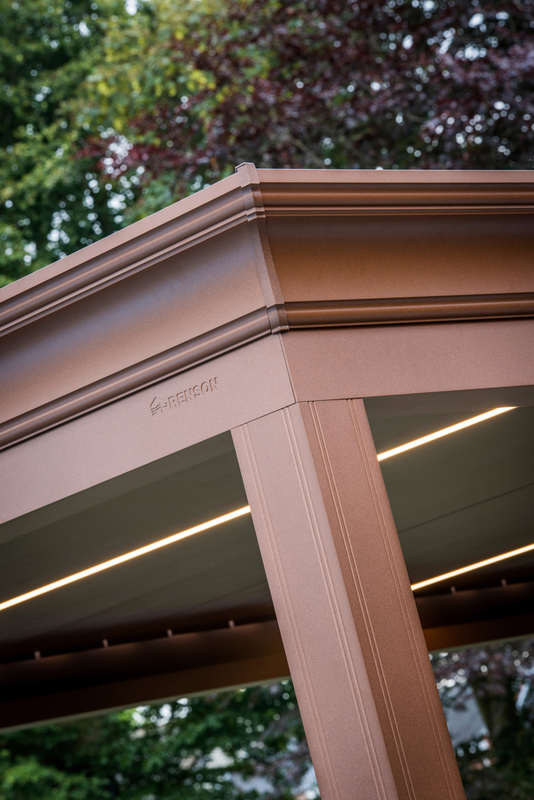 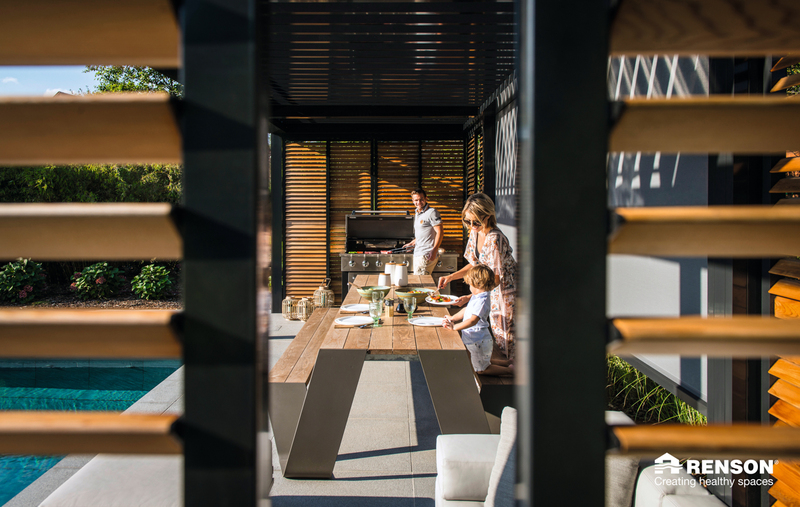 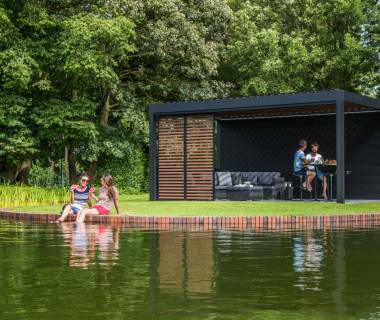 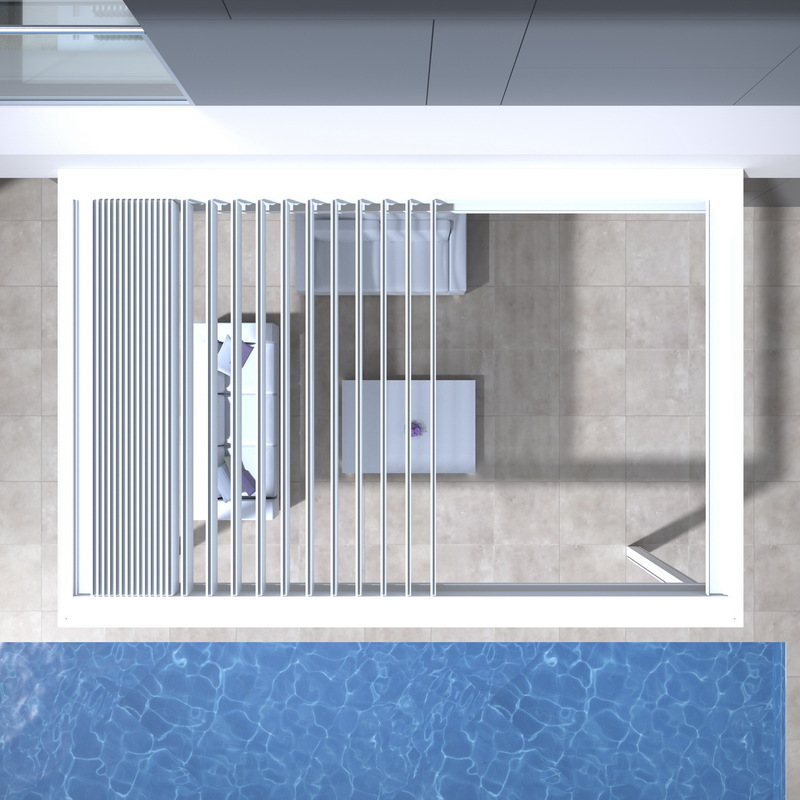 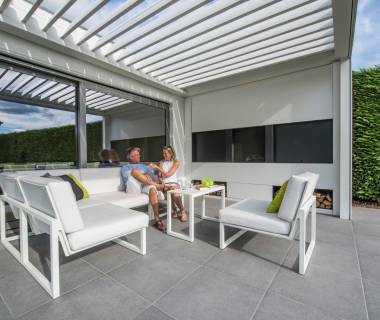 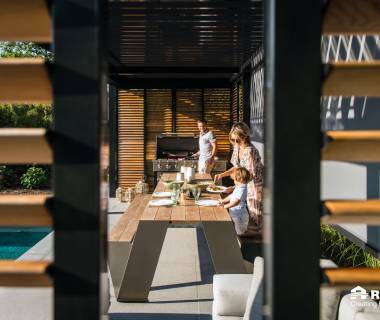 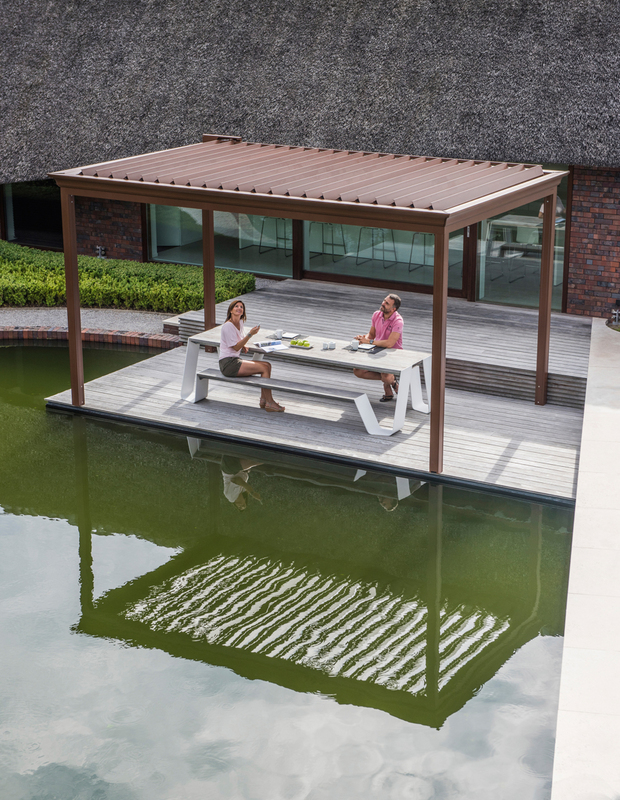 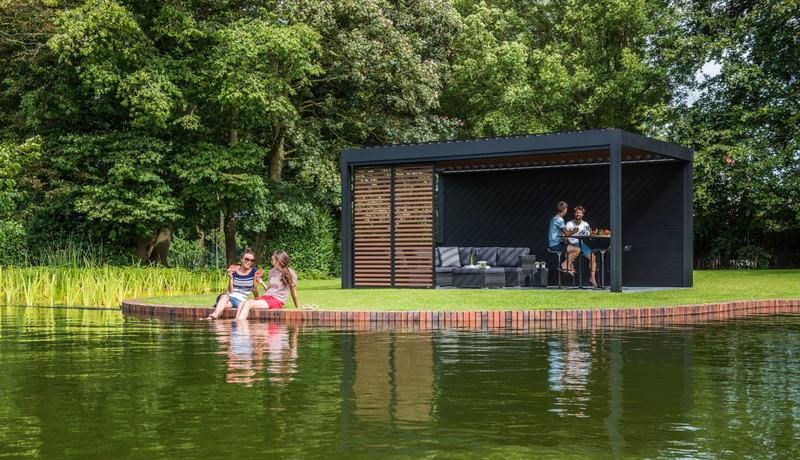 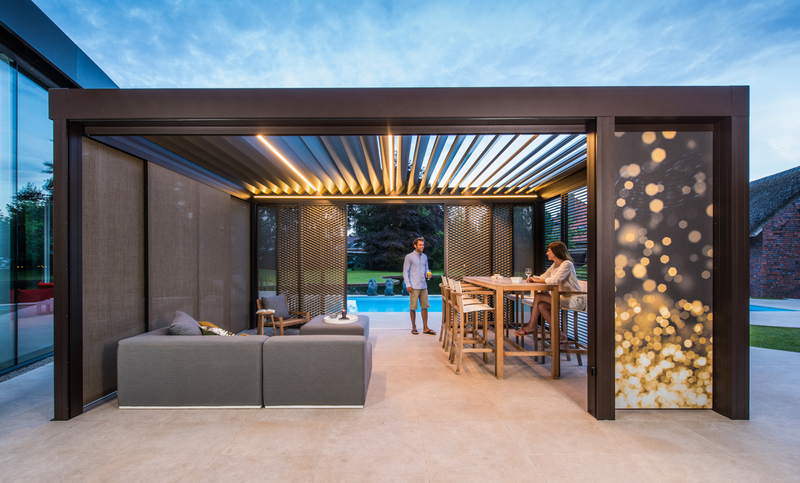 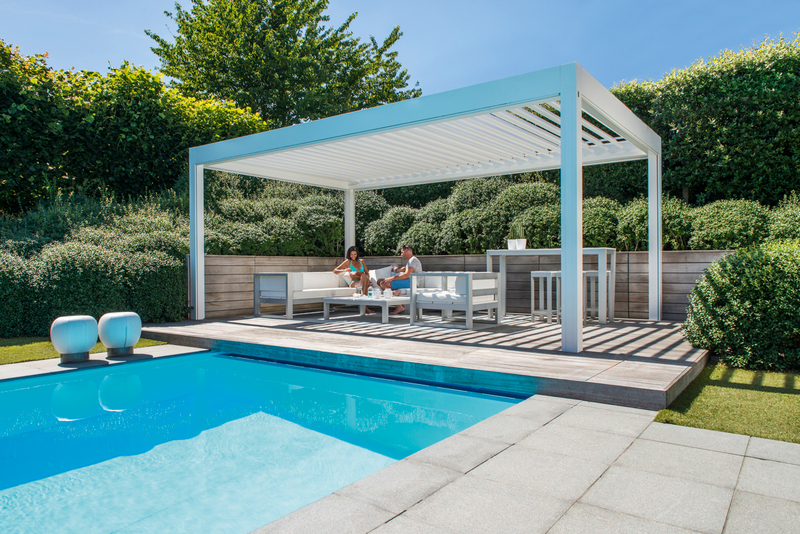 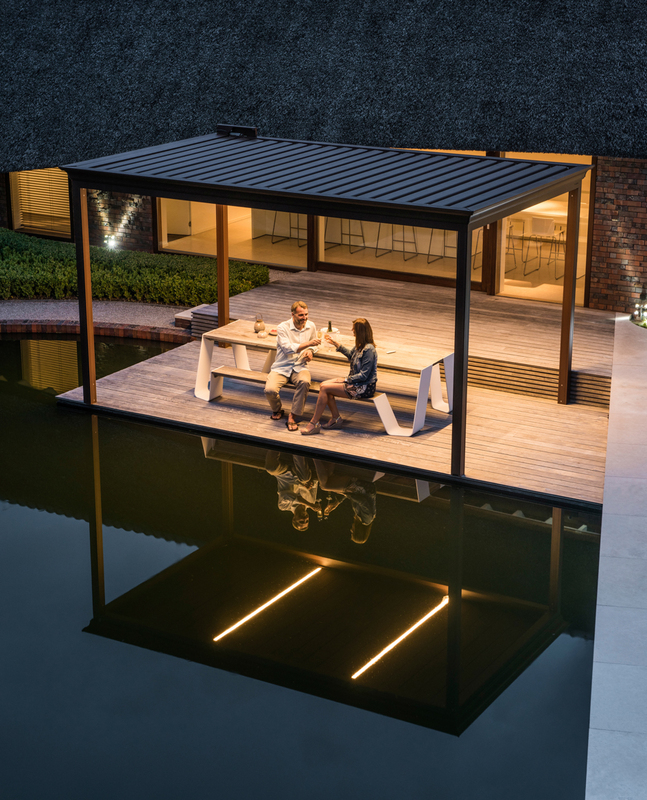 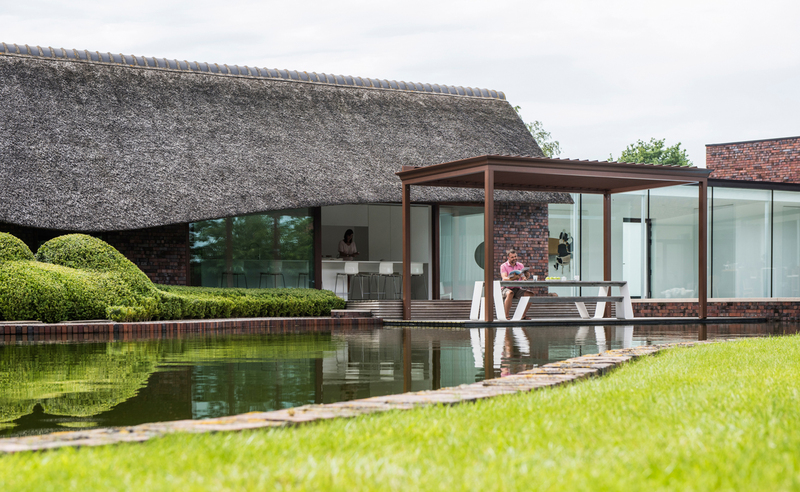 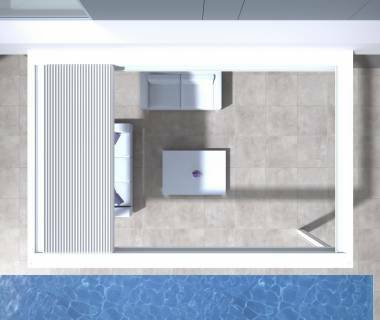 This stylish louvered roof with a flat sun – and waterproof roof turns your terrace into a pleasant outdoor space. 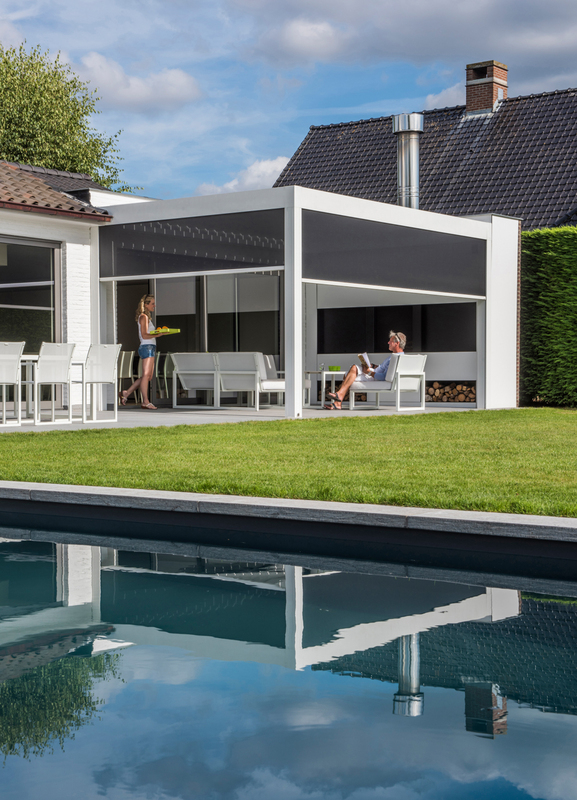 With an easy operation and a silent working of the blades you can realize the ideal incidence of light and ventilation in no time. 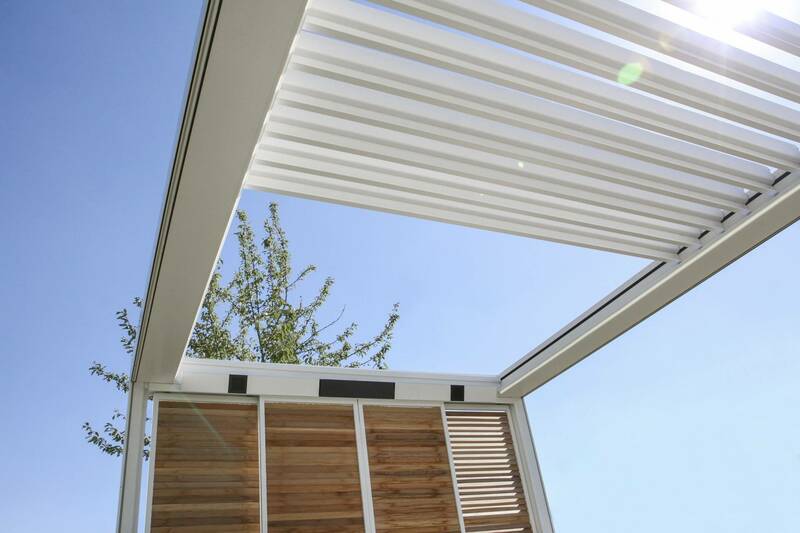 When closed, the blades form a waterproof roof in normal showers. 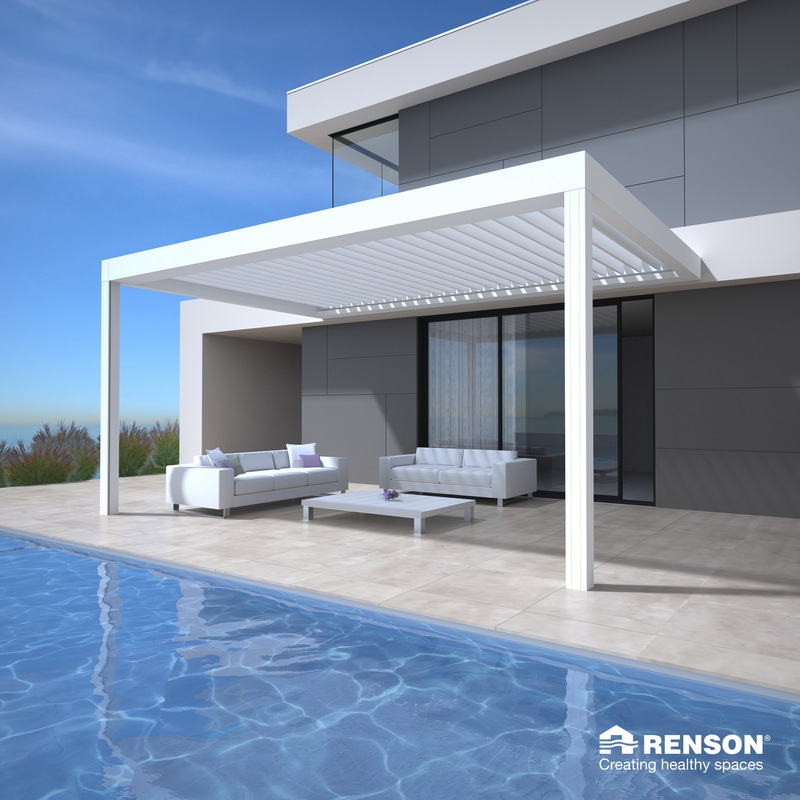 A gutter system drains the rainwater away towards the columns. These patented blades are designed in such a way that the water is drained off to the side if the blades open up after a rain shower. 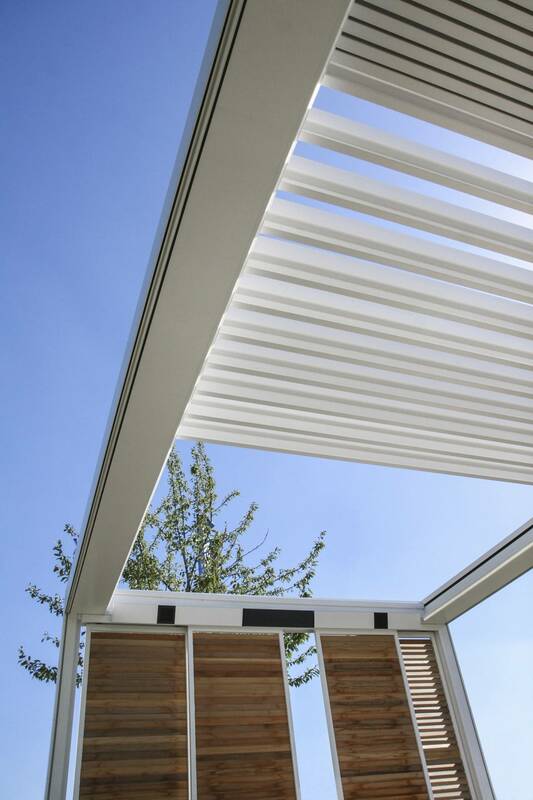 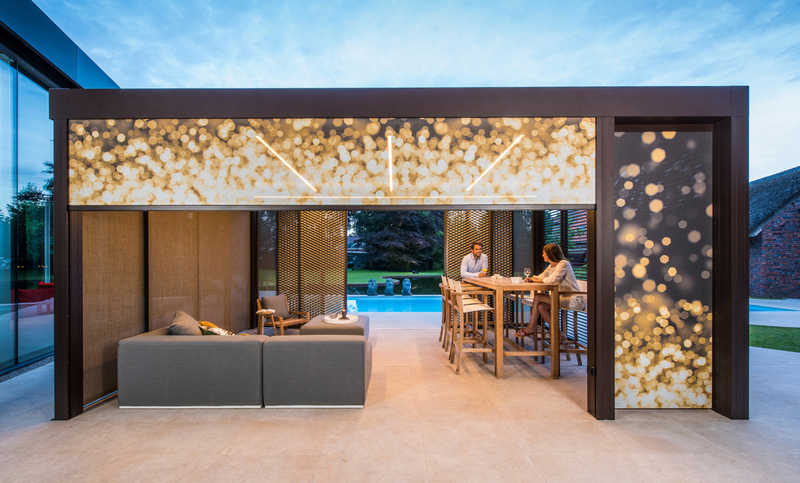 The sides can be provided with moveable wall elements, that realize an extra protection. 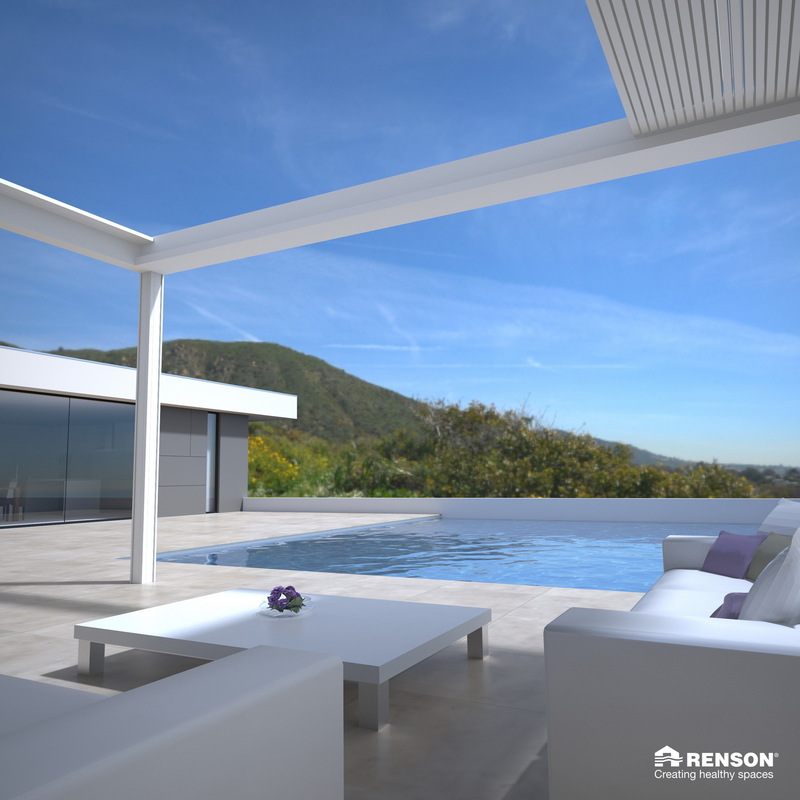 Endless personalization options are possible by adding side elements. 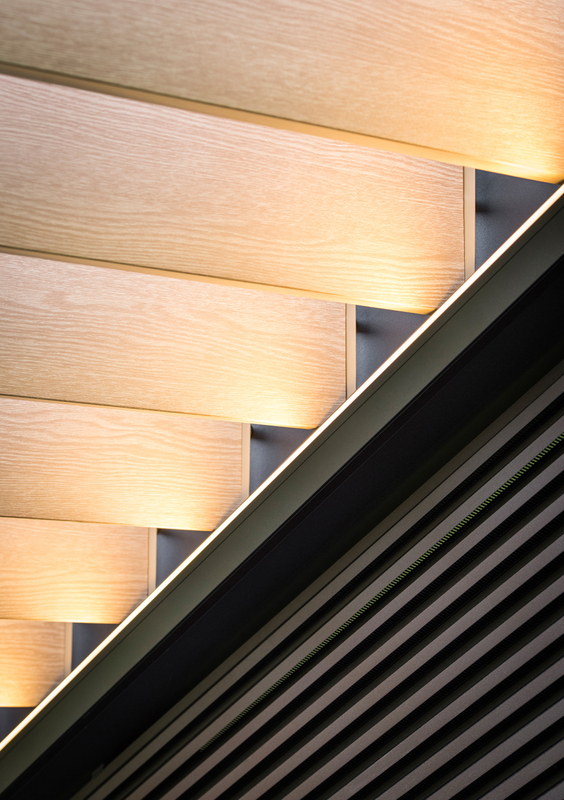 These provide additional protection and an aesthetically beautiful finish. 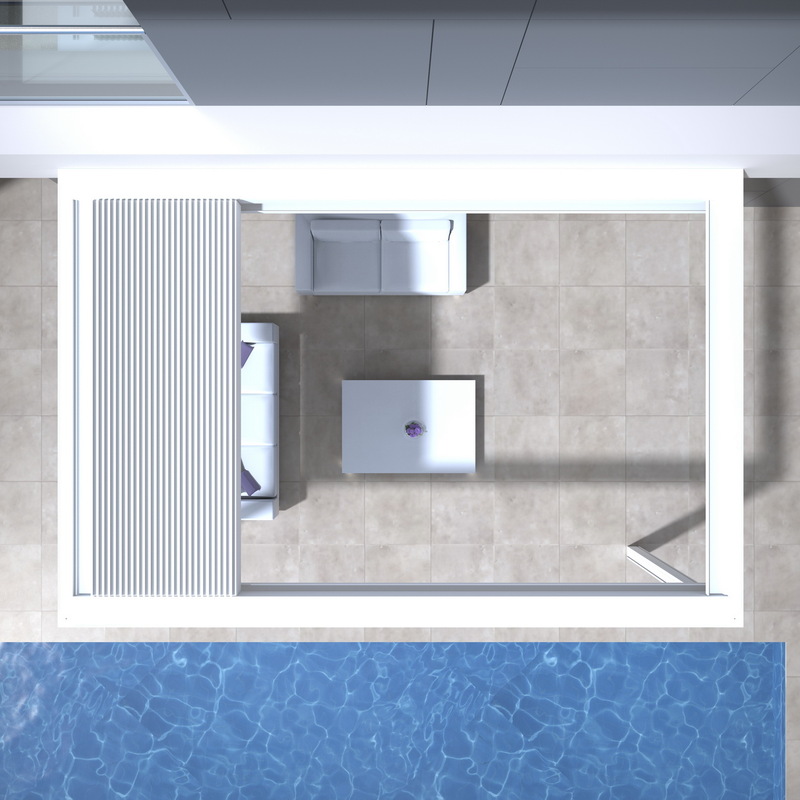 Rainfall intensity: Rainwater drains off to the columns via the integrated water guide channels. 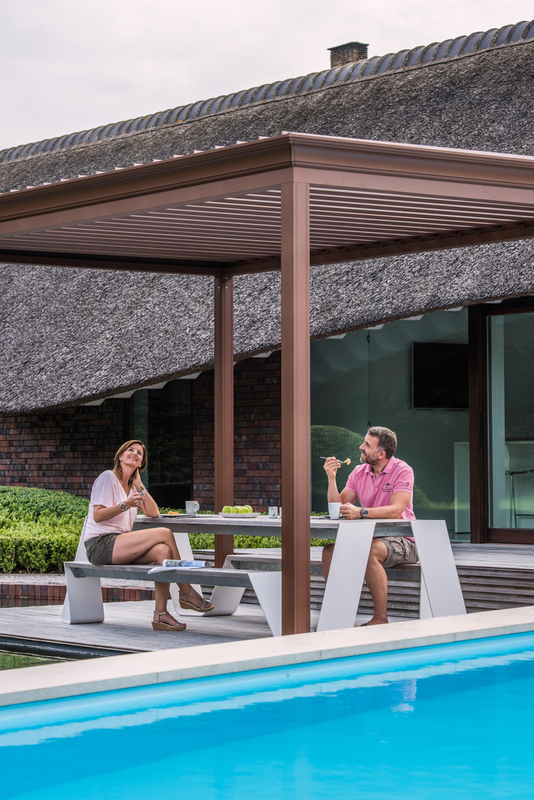 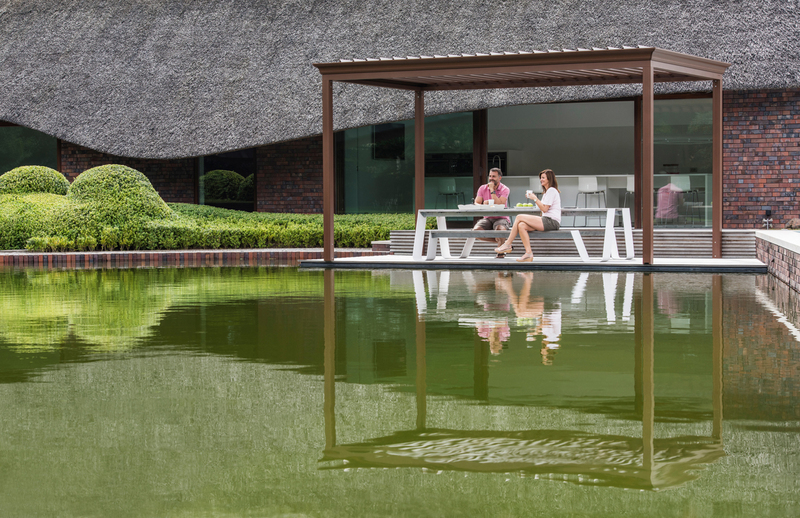 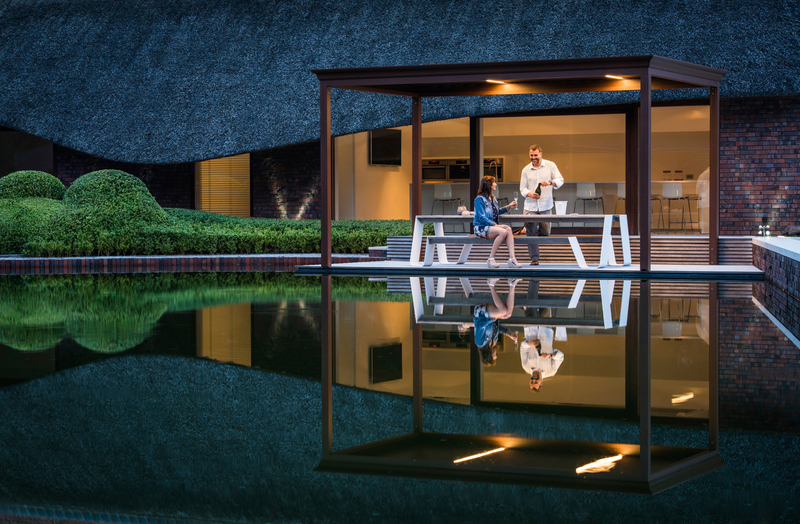 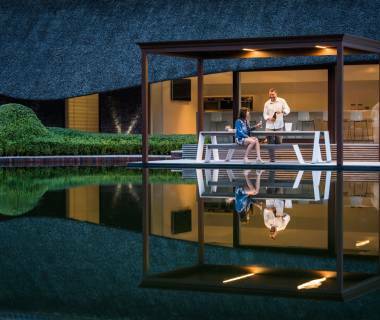 Even when opening the roof after a rain shower, the water-drainage system of the blades ensures that furniture and people on the terrace stay protected. 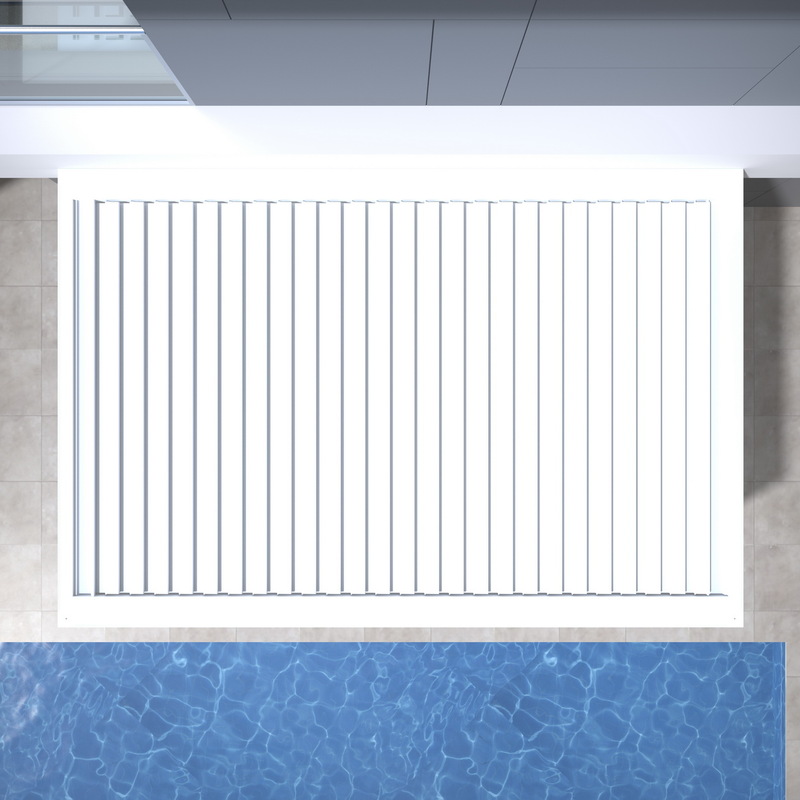 Can process up to 144mm/h of rain for a maximum of 7 minutes. 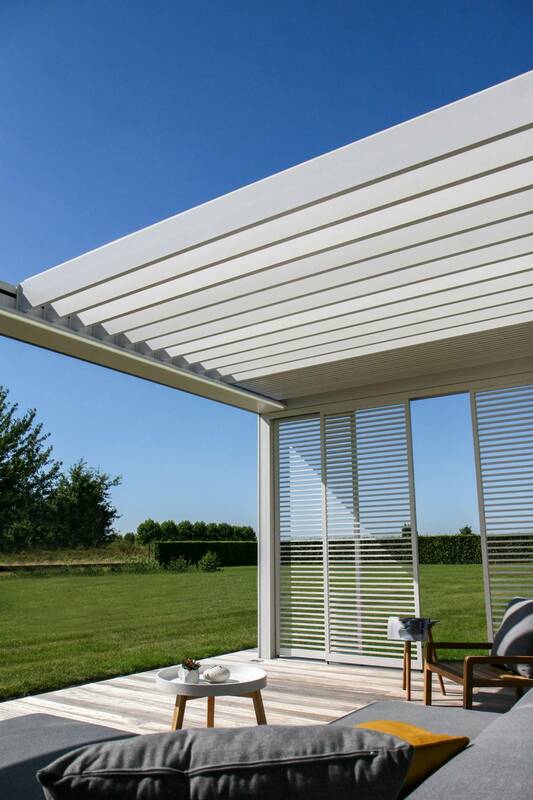 Wind resistant up to 120km/h while closed.